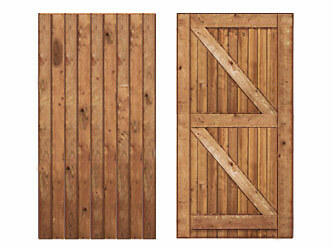 Premier Sheds' Closeboarded Gates are manufactured from 50 mm x 100 mm frame-work clad with feather edge boards. Capping fitted to top edge. Can be hung as single gates or as pairs. All timber is pressure treated. Recommended Gate Post size is 4" x 4". For post height use 2 ft more than the height of the gate to permit foundations.